A compact and winning group, led by optimism and projected in a common direction. Our goal is to foster client’s success and being acnkowledged within the market as a tangible reference model for quality an innovation, adding value with people, products and services. Comestero Sistemi is a known market leader in the production and commercialization of components for ventilation, filtering and connection. A dynamic company which evolves together with the main client’s requirements. 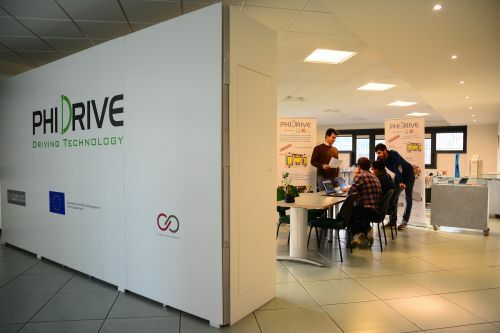 Phi Drive, an innovative startup born in 2013. Develops linear and rotating drives using piezo-electric and pneumatic actuation. High precision positioning, and an E-Green soul with low energy consumption and absence of lubricants make these products suitable for many application fields. 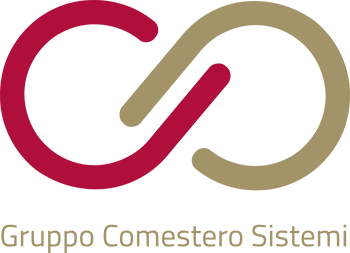 Alliance with commercial partner Comestero Sistemi S.p.A. Since 1976 Comestero Sistemi is specialized in the production of systems and components for the electromechanical and electronics industry. The headquarters are located in Vimercate, at 30 km north-east of Milan. Over an area of 7000sqm develop: an office building of 1000 sqm, warehouse and logistics 2500sqm with an annex of 500sqm devoted to technical office and laboratory, quality control and research and development of new products. The office building is divided in the following areas: General Management, Administration, Human Resources, Marketing and Sales, Customer Service and R & D. Offices located in Cittadella (PD) and Ozzano Emilia (BO) are in charge of carry sales and marketing support to customers of the Northeast and Central Italy. With the support of the technical laboratory of Comestero Sistemi, Pentagroup provides highly qualified consultancy, following the customer in every step from design to production. The headquarters of Penta Group are located in Ornago (MB) in an independent building of 1600sqm completely dedicated to production. NSF Controls was born in England in 1948 and is part of Comestero Sistemi Group from 1997, european leader in the design and production of linear and rotating solenoids. A structure of over 90 people among R&D and production, with a staff of highly qualified engineers able to closely follow the customer from prototyping to mass production. NSF controls is firmly established in particularly demanding sectors, obtaining acknowledgement in the fields of military, medical and smart meters. NSF production includes DC solenoids in open and tubular versions, low profile, custom and special switches such as the free-way switch.